We consulted with the client to establish how many differently coloured materials they would need and it was decided upon that there would be six distinct colours, red, purple, orange, dark blue, teal and yellow. The dark blue would then form their overall branding colour when needed. With this in mind we set about creating some different colour and font pairings. We sent our first proofs to the client. We also encased their logo in a circle to see the effect it might have. The client came back and was very pleased with the first drafts. Through constant conversations we started to narrow down the font and colour options. The fonts decided upon were Museo Sans with a bold weight of 900 for the headings and Arial regular for the paragraphs. The client also really liked the logo being encased in a white circle, but with a transparent body so that whatever colour was underneath it would then become the colour of both the crown and the lettering. 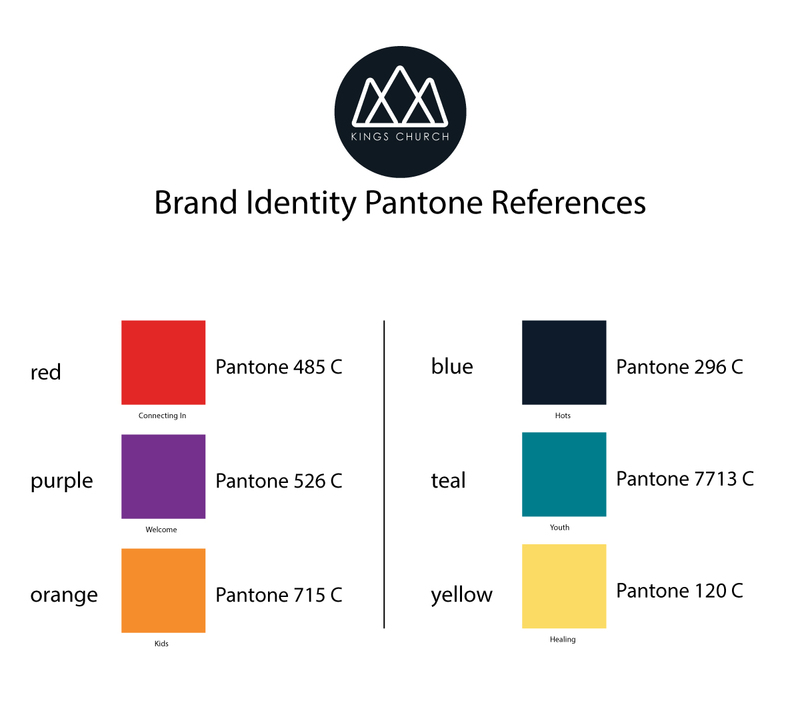 With the re-branding complete and all six colours confirmed a pantone reference chart was then sent to the client for their own printers to use in order to maintain colour fluidity across any printed materials. As we also produce numerous designs for the client this will ensure that everything they receive going forward, be it from us or their own printer, always adheres to this strict colour ruling. 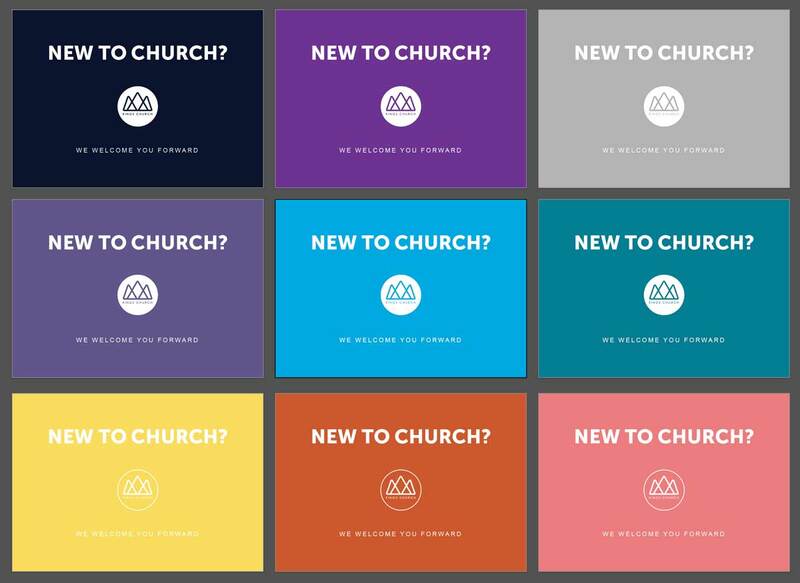 "Fountain Digital have recently helped me with a rebrand for all literature for our church. I came to them with an idea which they interpreted amazingly and so pleased with how everything now looks! So efficient and helpful love working with them."